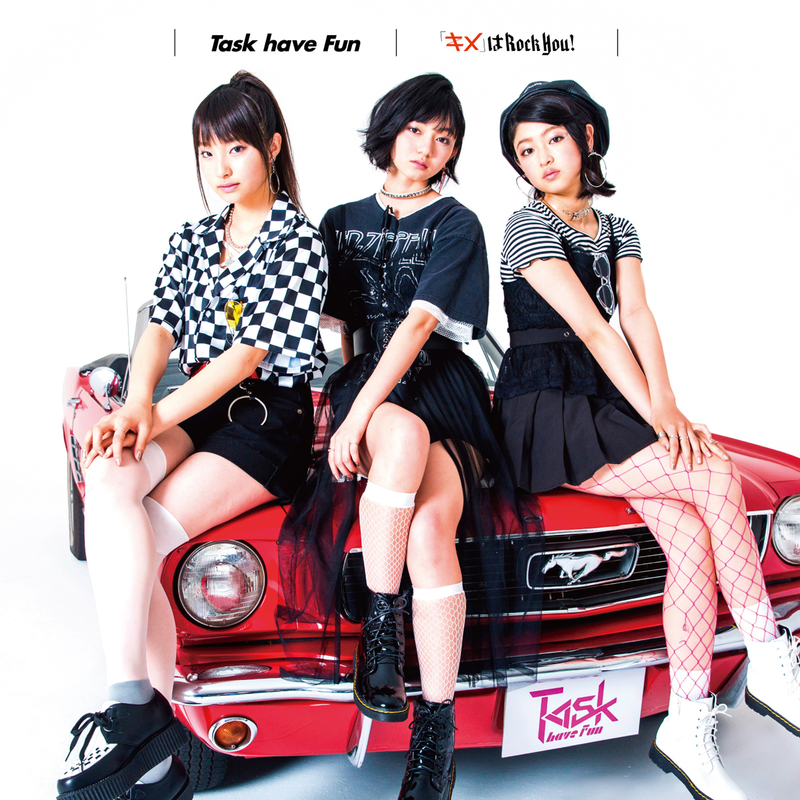 After a very pop-oriented 7th single, Task have Fun are back with their 8th single that will make you want to put on a leather jacket and plug in your guitar! Titled “「 Kime 」wa Rock You!” (「キ メ」 」Rock You! ), this single is scheduled to be released on June 9, 2018. As said above, the theme of this A-side is distinctly more rockish than the previous Task have Fun productions. While the electric guitars and drums are leading in the verses, there’s a lighter catchy style to the choruses, which gives them a good funky groove. Guitar riffs leave some space for several trumpets, adding a nice “ska” vibe to the song. You will find four tracks in this single, including A-side “「Kime」wa Rock You!” (「キメ」はRock You! ), B-side “Love Glitter” (ラブグリッター) and the instrumental version of both these two original songs. While June 9 is set to be the release date of this 8th single, it is also the day of the first performance of their second anniversary tour. Therefore, Task Have fun will be lighting up Tokyo at Yamano Hall on June 9, Osaka at the Americamura FANJ twice on June 23 and Nagoya at NAGOYA ReNY limited the next day, on June 24. Newer Post Vers de nouveaux horizons : le 52ème single des AKB48 ouvre les festivités	Older Post Branchez la guitare : le huitième single des Task have Fun se dévoile !